Note to feet: time to dance! 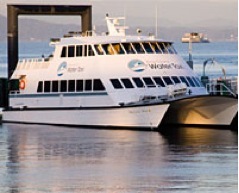 The King County Ferry District operates two routes together referred to as the King County Water Taxi. The KCFD is a special-purpose district in King County that’s governed by all nine members of the King County Council and is funded through a property tax levied on all property in the county. One water taxi travels a 10-minute route between Pier 50 in downtown Seattle to the Seacrest dock in West Seattle. It is presently operating on winter schedule, which only includes peak hours of roughly 6-9 a.m and 3:45-7 p.m. Two bus shuttle routes, also operated by the ferry district, travel from West Seattle: route 775 to the Admiral District, route 773 to the West Seattle Junction. 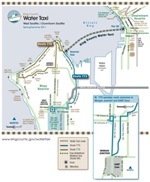 The water taxi’s one-way cash fare is $4.00 for adults 19+, $3.50 if using an ORCA card with sufficient fare value. Youths aged 6 through 18 are charged a $4.00 cash or ticket fare (tickets are available from vending machines at the Water Taxi terminal) or $2.75 using an ORCA card with sufficient fare value. Those with Regional Reduced Fare Permits have a $1.75 fare. The second route takes about 22 minutes in traveling between Vashon Island and downtown Seattle. The one-way cash fare is $5.00 for adults 19+, $4.25 if using an ORCA card with sufficient fare value. Youths aged 6 through 18 are charged a $5.00 cash or ticket fare or $3.25 with an ORCA card with sufficient fare value. Those with Regional Reduced Fare Permits have a $2.25 fare. For both routes: checks aren’t accepted, reservations aren’t taken, and seating is not guaranteed. A crew member carries an ORCA card reader. King County’s 2013-14 biennial budget included $12.5 million for two new water taxis, which would replace two aging leased vessels. Federal grants will cover 80 percent of the total cost of the vessels with the rest coming from Ferry District revenues. By taking notes and being engaged with fellow Chamber members, you'll learn this very effective strategy - The Power of Questions. This strategy will make you feel more energized and creative, as you accelerate your business growth, referrals and success. We will also be holding our annual Chamber Board elections. Please see separate article below for details. RSVP is required before Tuesday, Feb. 12, for members and visitors so we can order lunches from our Caterer, Special Occasions. To reserve your spot please send an email to the Chamber and Sharon will confirm your reservation, or register on-line with a credit card. Note: If you need to cancel your reservation you must let the office know before the deadline to avoid being charged. If you do not have a reservation you will be seating on a space available basis once the luncheon starts. First, it is a nationwide, year-long academic program for students in grades 6-12 with headquarters at the University of Maryland. Students from all 50 states, some U.S. territories and international schools in East and Southeast Asia compete at the national contest in June. Second, it is a statewide educational outreach effort of the Washington State Historical Society with a state coordinator working from the State Capital Museum in Olympia. 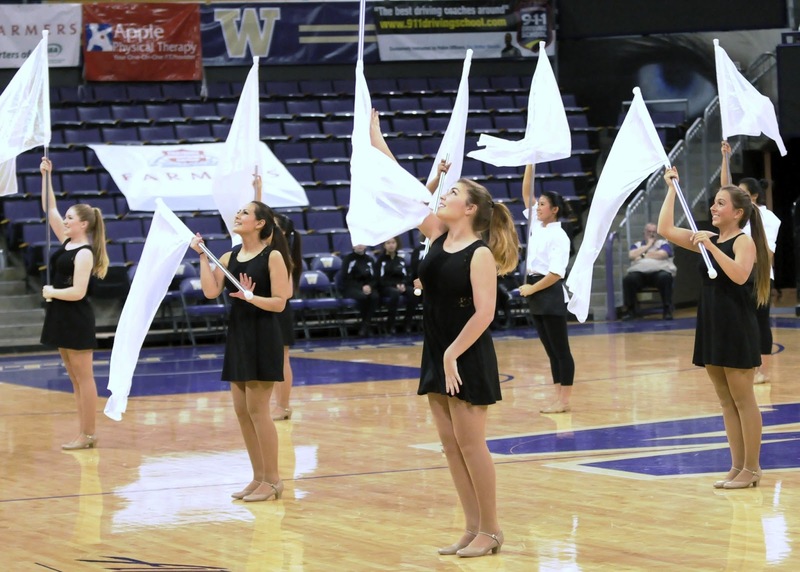 The effort culminates in early May at a state contest held at Bellevue College. Third, it is a Shoreline-based regional contest, one of seven in the state, which serves over 400 students from schools across north King County each year in March at the Shoreline Center. This North Puget Sound History Day contest is truly a Shoreline community project. Most of the volunteers whose efforts make the contest possible came to History Day as parents of Shorewood students figuring out how to do historical research in primary sources and present their conclusions as papers, exhibits, documentaries, performances or web sites. Examples of volunteers include Gayle Edwards (former SW parent), who recruits and assigns the over 150 judges who review student work during the contest; Marianne Stephens (SW parent) and Lisa Oberg (UW Librarian) who organize the judging of papers; Don Wilson (SW parent) and Nathan Friend (former SW History Day competitor) who organize the judging of web sites; Geneva Norton (District Librarian and former SW parent); Johanna Warness (Conference Center staff and former SW parent); Krista Tenney (former SW parent) who has been organizing the contest headquarters; Scott Thompson (former SW parent); retired SC and SW teachers Al Johnston, Kent Porter, and Suzanne Whitacre who manage the exhibit hall; and Randy Schnabel (retired SL/SC/SW history teacher) who coordinates the event. Add to these all of the 150 or so community members who come forward each year to serve as judges. Organizations have also supported the effort, including the Shoreline Historical Museum which offers a special award for student work on local history topics; the Shoreline Breakfast Rotary Club which sponsors awards for the best use of primary sources as determined by archivists at the National Archives and Records Administration; the City of Shoreline whose Spartan Recreation Center (former SL gym) serves as our exhibit hall; the Shorewood Culinary Arts program which provides delicious lunches for our judges; and, especially, the Shoreline School District which has granted use of the Shoreline Center annually since the inception of the contest in 1995 and whose leadership encourages staff to participate in a variety of ways. Interested in joining in this community effort? Contact Randy Schnabel. History Day judging organizer Gayle Edwards reports that she has received many replies to the call for judges but still need a few more, particularly for Papers and for Website. Contact them in the next few days if you are willing to give a few hours of your time. Use this link to register now to judge our 2013 North Puget Sound History Day projects. 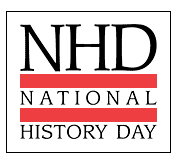 History Day judges are adults with an interest in history and a desire to help students in grades 6 -12 improve their ability to do historical research and present their results in public. 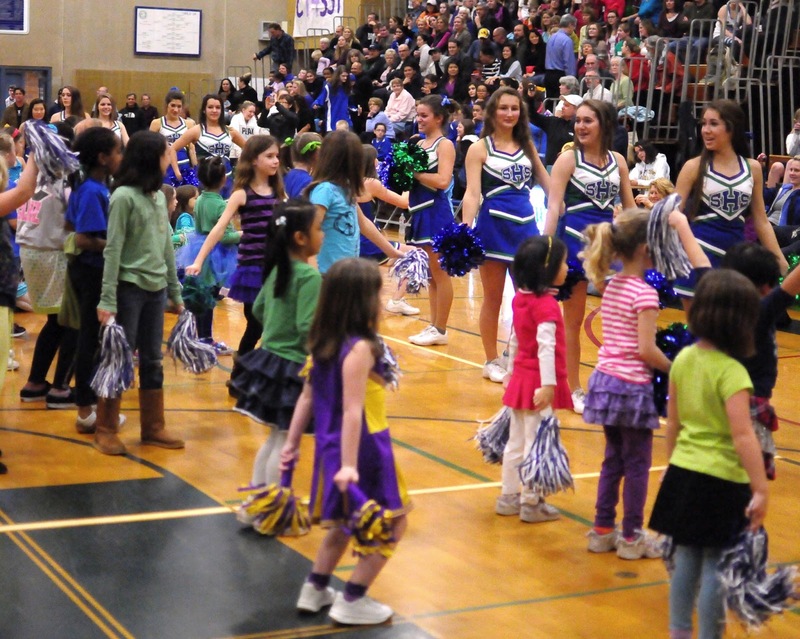 We expect to see contest entries from over 400 students at the Shoreline Center on Wednesday, March 20, 2013. Judges to read papers and evaluate websites in February and early March. Judges work independently but meet briefly once as a team of three to assemble results. We need judges to evaluate exhibits, documentaries and performances at the Shoreline Center on Wednesday, March 20. Most judges will serve only in the morning. Some experienced judges will be asked to serve also in the afternoon. Sign up to judge here. Email for more information or check out the web page here. Enjoy the jazzy sounds of Shorewood High School Jazz band, Einstein Middle School Jazz band and SCC Jazz Band on this special evening of music. Learn to swing dance with instructors from Eastside Stomp, and enjoy a wonderful evening to support the Shorewood music program. Tickets are sold in advance through Shorewood and Einstein Jazz band students, at the door, or by pre-ordering by calling the Shorewood Music Office at 206 393-4717. Check the Shorewood High School website for more details. The Shoreline Community College Lady Dolphin Basketball Team held Northwest Indian College to 14% shooting for the game on their way to a 74-44 victory on Wednesday night in Bellingham, WA. Sophomore Deja Davis led a balanced SCC offensive attack with 15 points, followed by freshmen Hannah Stanger with 13 points, Maile Keanu 12 and Ashley Savusa with 11. Keanu had a big night on the boards, grabbing 15 rebounds. The Dolphins out rebounded NWIC 79-65 overall. SCC led 36-20 at halftime and outscored NWIC 38-24 in the second half. SCC record improves to 9-9 overall. The Dolphins face Everett Community College on Saturday at 2:00 PM in the SCC Gym to start the second half of the NWAACC Northern Region schedule. Everett defeated SCC 93-48 to open league play back on January 5. SCC is in 6th place in the region with a 2-5 record. EVCC enters the game with a 10-9 overall record and 4-3 in the region and in 5th place. The Shoreline Community College Men's Basketball Team erased a 12 point half-time deficient and came back to win 103-94 on Wednesday night in Bellingham, WA against Northwest Indian College. SCC was down 52-40 at half-time, but poured in 63 points in the 2nd half to overcome the Eagles. 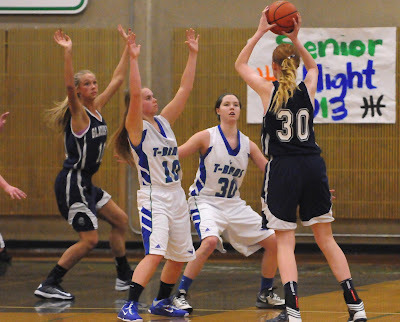 SCC scored 33 points off turnovers in the game as their full court pressure forced 28 NWIC ball handling mistakes. Kadeem Stewart and Joshua Youngblood again led SCC's offense, as sophomore Stewart scored 31 points with 11 assists and 5 steals and sophomore Youngblood scored 26 points with 7 rebounds and 5 steals. Dean Viena and Abdul Mohamed scored 12 points each for the Dolphins while Zach Hafen scored 11 to close out the double figure scoring for SCC. SCC now stands at 3-14 for the season. SCC faces Everett Community College on Saturday in the SCC Gym at 4:00 PM to open the 2nd half of the NWAACC Northern Region schedule. SCC lost to EVCC on January 5 121-116 to open the region schedule. 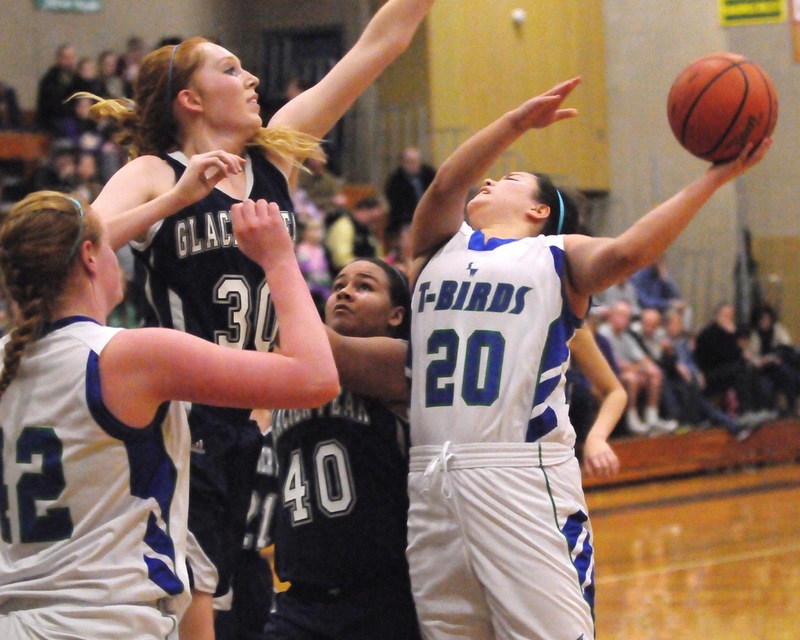 The Shorewood girls' basketball team broke its three-game losing streak with a victory at Stanwood Wednesday that ended Stanwood's 11-game winning streak. The victory finished Shorewood's regular season with a 9-4 Western Conference 3A record (14-6 overall) and sends the Thunderbirds into the Northwest District 3A tournament as the No. 2 Wesco 3A South team and No. 4 overall seed, meaning that Shorewood will play its first-round tournament game at home Tuesday at 7 p.m. against Everett (6-7 Wesco 3A, 10-10). The Shorewood-Everett winner advances to a Feb. 8 semifinal game at Lynnwood High School against the winner of a first-round game between Stanwood (12-1, 17-3) and Meadowdale (8-5, 13-7). The losers of those two games meet in an elimination game at the home of the higher seeded team. In Shorewood's 64-39 victory over Stanwood, the Thunderbirds outscored the Wesco North champion Spartans in every quarter, leading 18-16 after the first period, 30-23 at halftime and 46-34 after three quarters before outscoring Stanwood 18-5 in the final period. Masha Shtikel led Shorewood with 17 points; Kassie Rasmussen and Lauren Thompson each scored 11; Angel Tulee added 10 points for the T-birds, followed by Lily Gustafson with 8. The Shorewood junior varsity defeated the Stanwood JVs, 40-39, to finish the season with a 6-7 Wesco 3A record (9-10 overall). Shtikel led the Shorewood varsity for the 20-game regular season with 394 points for an average of 19.7 points per game. 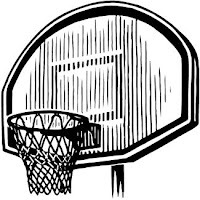 Shorewood Scoring -- Masha Shtikel 17, Trisha Fernandez 0, Lauren Thompson 11, Kayla Bradley 2, Gabby Hager 3, Salyna McDonald 2, Lily Gustafson 8, Abby Gustafson 0, Karrin Leazer 0, Kassie Rasmussen 11, Angel Tulee 1. These January stories were the most viewed. See what you missed! A lengthy fight over a view-blocking cedar in Shoreline’s Innis Arden neighborhood ended Monday with workers trimming the tree back to about a third of its size. Art Wright stood in his driveway in the rain, looking at the big Western red cedar towering over his front yard. The cold Monday morning’s stillness was broken by the sound of chain saws revving up. Wright watched as workers began cutting off the top two-thirds of the tree and many of its vast branches. Monday’s trimming of the stately red cedar ended a three-year battle between the Wrights and their Innis Arden neighborhood, an exclusive community in Shoreline. The Save Richmond Beach citizens' group has vowed to continue the fight against the mega-development at Point Wells in spite of the set-back at the Court of Appeals. The Court reversed an earlier ruling against a Snohomish County "Urban Center" development at the site, which is at the end of a long, narrow lane. It is important to note that this loss was not entirely unexpected. Whether we won or lost at the Court of Appeals, we have little doubt that this case would have been appealed to the Supreme Court one way or another. Save Richmond Beach is asking supporters for contributions to fund the legal team for the appeal to the state Supreme Court. The important thing to note is that Save Richmond Beach has not accepted a mega-development as a foregone conclusion and is continuing to work towards a resolution through whatever means necessary. Everyone who cares about our communities and the environment should also continue to fight and not assume this project is a "done deal". Now more than ever, your support is critical to Save Richmond Beach’s efforts to fight for a development that enhances our community rather than turning it into a thoroughfare. State Rep. Cindy Ryu told members of the Metropolitan King County Council that her perspective as a Korean-American woman makes her the best candidate for the council’s vacant seat. Shoreline City Council member Will Hall touted his experience as a planner, working his day job as a staff analyst in Snohomish County. The three finalists advertised their best attributes before the King County Council Wednesday morning in the final phase of the appointment process for the seat vacated by newly elected Attorney General Bob Ferguson. He represented District 1, in northern King County. The council — officially non-partisan but made up of four Democrats and four Republicans — plans to appoint one of the three finalists (all Democrats) Feb. 11. The interviewees gave somewhat predictable answers. All three candidates said they are devoted to working collaboratively in a nonpartisan manner. They all said they are committed to diversity, increasing funding for human services, and improving transit and bus service. Shoreline City Councilman Will Hall and Democratic 32nd District State Rep. Cindy Ryu both say that they would resign their current positions if appointed to fill the vacancy on the Metropolitan King County Council created when former County Councilman Bob Ferguson took office as state attorney general Jan. 16. The eight remaining County Council members have until March 17 to choose Hall, Ryu or Seattle attorney Rod Dembowski to represent County Council District 1, which includes Shoreline, Lake Forest Park, Kenmore, Woodinville the King County part of Bothell, north Kirkland, unincorporated areas between Bothell and Kirkland, and northeast Seattle. County Executive Dow Constantine nominated the three. At least five Council members must agree on a candidate or Democratic Gov. Jay Inslee will appoint one of the three. The person selected to fill the vacancy on the Council will serve through certification of the November election, when voters would choose someone for a full four-year term plus the last month of the term that Ferguson won in 2009. Ryu, Dembowski and Hall all have registered with the State Public Disclosure Commission, a step that allows them to raise and spend money for the August primary and November general election. Ryu has reported raising $31,710 and spending $2,639. Dembowski has reported raising $63,936 and spending $3,752. Hall has reported raising $3,070 and spending $120. Candidates file for ballot positions in May. If three or more candidates file, the position will appear on both the primary and general election ballots. If only one or two candidates file for the position, it will appear only on the November ballot. Dembowski, like Ryu, has said that he plans to run for the County position whether he wins the appointment or not. Hall has said that if he gets the appointment, he certainly will run for a full term but that if he doesn’t get the appointment he would reconsider whether to run for the county position or run for re-election to the City Council. Ryu would not have to choose between running for the county position and running for re-election to the legislature because the two offices are on the ballot in different years. Ryu said Sunday that she would resign her legislative position “as soon as possible” because a position on the County Council would demand her full attention and because the 32nd District deserves full representation during the current legislative session. Hall said a few weeks ago that if he would win the county appointment, he would resign immediately from the City Council, meaning that the remaining Council members would appoint a replacement for the last few months of the term he won in 2009. A Ryu resignation from the legislature would mean that elected Democratic precinct committee officers from throughout the 32nd Legislative District would nominate three candidates, with County Council members from King and Snohomish counties making the final choice, The District includes Shoreline and part of northwest Seattle in King County, and Lynnwood, part of Mountlake Terrace, south Edmonds, Woodway and nearby unincorporated areas of southwest Snohomish County. Last fall we reported on a resident with a great idea. Scott Ruhlman was regularly running in Shoreline and thought it would be fun to have some company. He started with a small group which met every Saturday morning - but invited anyone to join them. The running club changed names to the Richmond Beach Running Club (from north seattle runners) and we have 15-20 runners who meet each Saturday at the Richmond Beach Coffee Company from a roster of 50-60 who will come at any given week. 1442 NW Richmond Beach Road, Shoreline 98177. There is no cost and there are runners ranging from inexperienced to regular runners. We run for an hour and enjoy the scenery of the area and the company of other runners and would love to have others join us! Many are training for their first races this spring from 5k to half marathons, and even several are even attempting to complete a marathon, so there are many different types. The club is primarily social, and many come for an easy run and conversation as we all meet up after an hour run at the coffee shop and catch up over coffee or brunch. The group is growing even through the difficult weather, so it will be exciting to see the group grow as the days get longer and spring hits. Many new runners worry that they are not "in shape" enough for the club - the opposite is true. Instead the club has many who are doing just that - starting to get in shape - so we encourage runners of all types to give us a try. We run track workouts about twice a month with Lane Seely as our coach. The exact dates are on a month to month basis and are available on our calendar which can be obtained by subscribing to our weekly email list at our website. The track workout is a great fun way to run with others while working on pace and speed. Many who have never done a track workout are surprised to find out how fun it can be and is a nice change of pace way to run. Our childcare is a new addition and is a way for parents to have a way to drop off their children during the run under the supervision of one of the other parents in the group during the Saturday morning run. If that is something they are interested in, we ask that they email for more details. 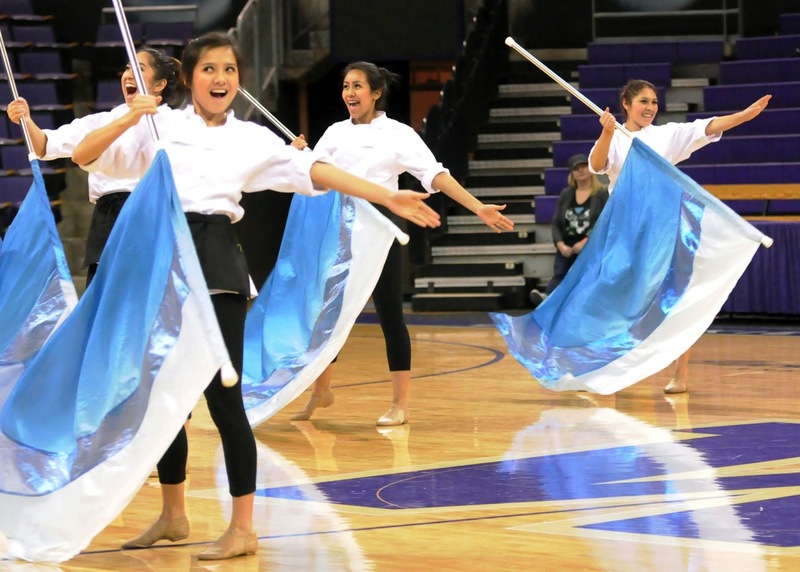 The Shorewood Flag Team competed in the WIAA's Salute to Spirit at Hec Edmundson Pavilion on the UW campus on January 26, 2013. The team came away with the first place trophy in the Show category for their French-themed performance. In the drill down portion of the event, Madison Smith was 9th and Megan Lee won a third place medal. The team is led by Captains Lisa Le and Kelsey Phariss. Coach Kimberly Parker. 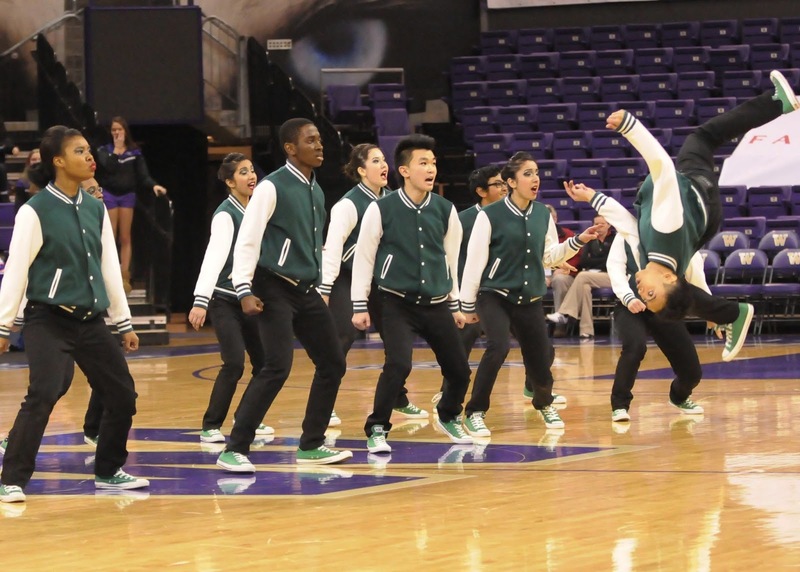 The Shorecrest Hip Hop Team was an entry at the WIAA’s “Salute to Spirit” dance and cheer district competition. The event was held at the University of Washington Alaska Airline Hec Edmundson Pavilion on Saturday Jan 26, 2013. According to coach Rex Kinney, "This was a regular season competition in which the team qualified for District competition. We still have a couple more regular season competitions that will add more experience to our members." 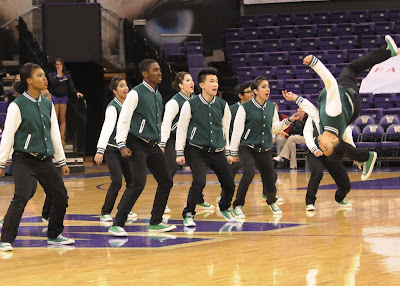 The team took first place over five other high school teams competing in the hip hop category. 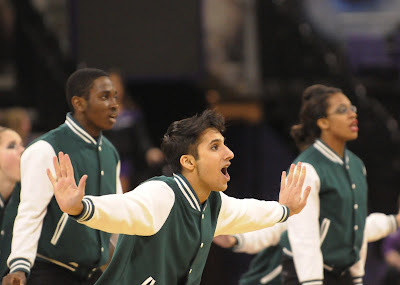 They have a competition this weekend at Eastlake High School. The children who participated in the Shorewood Cheer Clinic performed with the big girls at the half-time of the Shorewood - Glacier Peak girls’ game on Monday Jan 28th. In the City Manager’s report given by Assistant City Manager Debbie Tarry, it said that thanks to grant funding from Washington State Department of Transportation’s (WSDOT) Safe Routes to School program, students walking to Briarcrest Elementary now have safer options. The city received $385,000 to construct sidewalks along 27th Avenue NE between NE 50th and NE 155th streets. Next year Shoreline was chosen to receive $435,000 from WSDOT for sidewalks around Einstein Middle School. Debbie Tarry also addressed public concerns about changes to the recently approved Comprehensive Plan with reference to Point Wells Development. She said there would be no changes to the comprehensive plan until the Richmond Beach Road Corridor Study is completed by the developer to determine projected traffic should Point Wells be built. Also before any changes to the Plan can occur a public hearing is required and a presentation before the City Council. She stressed that no action to change the Comprehensive Plan will take place during the February council meetings. Several council members expressed confusion about the purpose of the council approved $10,000 mini grant to support businesses in the area. Economic Development Program Manager Dan Eernissee suggested several ideas combining the arts and businesses of which the council members were skeptical and suggested he come back to the council with unique ideas that haven’t been tried before, ideas that would make the city seem “cooler” and attract people to Shoreline businesses. Deputy Mayor Eggen suggested tightening up the criteria to provide more focus. Councilmember Winstead said maybe creating a business directory would help. Saturday March 2nd, 3-6 pm. 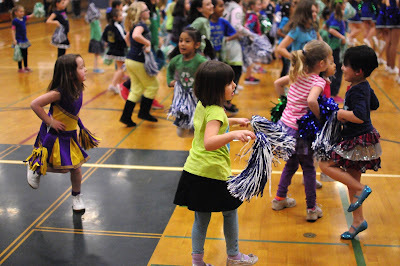 Join for this fun filled dance party to help families right here in Shoreline. We need your support! The Y currently provides more than $19 million annually in free and subsidized services. Your gift to the Y has a meaningful, lasting impact right in our own neighborhood. The meeting will be carried LIVE on King County TV, seen on Comcast and Broadstripe Cable Channel 22. The Council has 60 days to make the final appointment from the date of the vacancy on January 16. The appointee selected by the Council will serve in office until certification of the next general election in November. King County Council web site. Olympia --Building Industry Association of Washington (BIAW) member Joseph Irons, CAPS, CGP, CGR, GMB, a builder and remodeler from Shoreline, has been named the 2013 Graduate Master Builder (GMB) of the Year by the National Association of Home Builders (NAHB). The GMB is the highest professional designation a builder can earn through NAHB. Irons is the owner and operator of Irons Brothers Construction, Inc., an award-winning firm that specializes in design/build, kitchens, bathrooms, additions and more. Although Irons runs his company now, he has been involved in all aspects of operations, including administrative, sales and marketing, estimating and production. The winner of numerous awards, Irons is a three-time Remodeler of the Year from the Master Builders Association of King and Snohomish Counties (MBA) and BIAW. He is past chair of BIAW’s Remodelers Council and is a member of its Education Committee. Irons chaired the MBA Remodelers Council in 2011 and 2012 as well as being the past chair of the MBA Care Foundation Rampathon Committee. Irons holds the Certified Aging-in-Place Specialist (CAPS), Certified Green Professional™ (CGP), Certified Graduate Remodeler (CGR) and Graduate Master Builder (GMB) designations. He was named the 2010 Certified Graduate Remodeler of the Year by NAHB. Professional designations like CGB offer BIAW members a myriad of benefits and opportunities to build stronger, better and more competitive businesses. At the national level, Irons sits on NAHB Remodelors’ Legislative and Regulatory Affairs Committee, chaired NAHB Remodelors’ Members & Communications Subcommittee in 2012 and will chair the CAPS Board of Governors this year. He also is an NAHB-approved instructor for CAPS courses. The Certified Graduate Builder Board of Governors presents the GMB of the Year award to an industry professional who best showcases the importance of this designation and promotes professionalism within the building industry. Irons will be recognized at the 2013 International Builders’ Show on Jan. 21 in Las Vegas. BIAW members received four of the 15 national awards offered by NAHB. Sorting through the maze of transportation alternatives for getting around King County can be an overwhelming task, yet for many people in the Shoreline area, travel options are the key to independence – whether that means a ride to a doctor’s appointment, work, school, shopping, social activities, or family events. Hopelink is offering free training for local residents who are interested in helping their neighbors figure out how to get where they need to go without a car. The training is available to staff, providers and volunteers who work directly with people with transportation needs – as well as community members who would like to learn more about travel options. Training to become a “Travel Ambassador” will be held Tuesday, Feb 19 from 9am to 1pm at the Hopelink Shoreline Food Bank, 15809 Westminster Way N in Shoreline. Registration is required and training is limited to15 participants. Registration closes Feb 12. The location is ADA accessible. Alternate formats and languages are available on request. 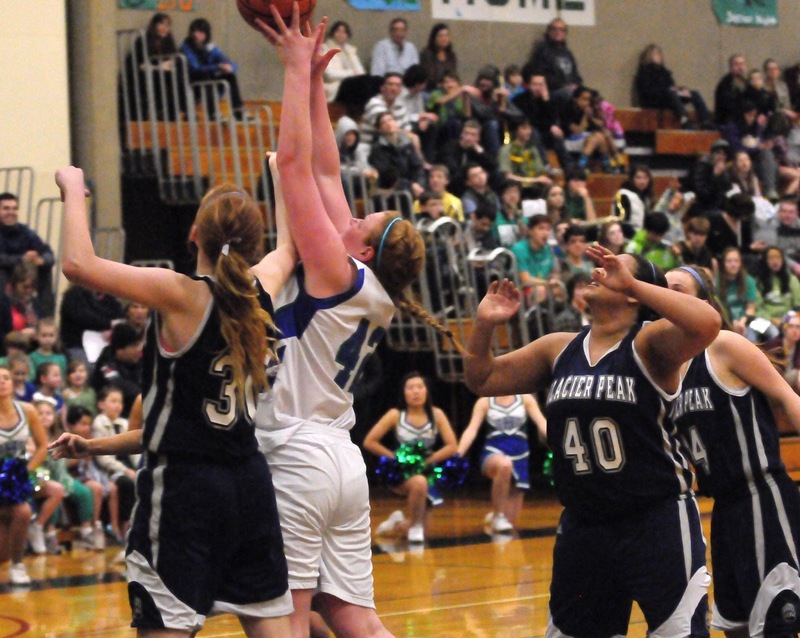 The Shorewood girls' basketball team, fell out of a tie for the Wesco 3A South lead with a home loss to Glacier Peak Monday. 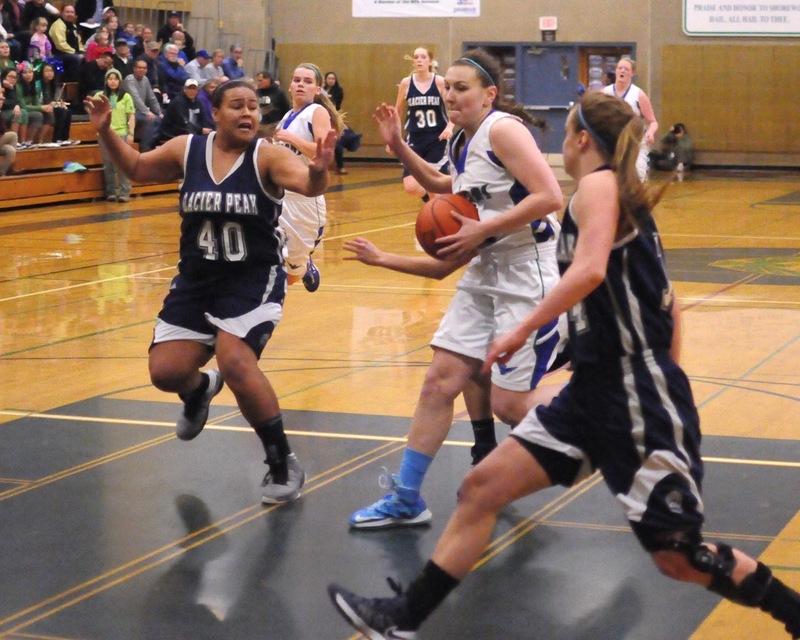 Glacier Peak's 48-42 victory gave the Grizzles sole possession of first place with a 9-3 Wesco 3A record (14-5 overall). Shorewood's loss dropped the Thunderbirds into a second-place tie with Meadowdale at 8-4 in Wesco 3A play, with 13-6 overall records. Shorewood finishes its regular season Wednesday with a game at Wesco 3A North leader Stanwood (12-0 Wesco 3A, 17-2) before starting Northwest District 3A tournament play next week. Shorewood’s Kassie Rasmussen grabs an offensive rebound. In Shorewood's 48-42 loss to Glacier Peak, the T-birds took an 18-17 halftime lead, but fell behind, 32-26, after three quarters and couldn't close the gap in the final period. Lily Gustafson led Shorewood with 11 points; teammate Masha Shtikel added 10; and Agel Tulee scored 9. Going into the District tournament, Shorewood holds the No. 4 seeding behind Wesco division leaders Stanwood and Glacier Peak and behind Ferndale (10-0 Northwest 3A/2A/1A Conference, 16-1), but the Thunderbirds could fall to No. 5 with a loss at Stanwood coupled with a Meadowdale victory at Shorecrest Wednesday. The top four teams play first-round tournament games on their home course. The Shorecrest girls' basketball team finishes its regular season Wednesday with a home game against Meadowdale after a 53-52 loss at Mountlake Terrace Monday. We erroneously reported a few days ago that the game at Mountlake Terrace would be Wednesday. A victory over Meadowdale combined with a Shorewood (8-4, 13-6) loss at Stanwood (12-0, 17-2) could move Shorecrest into a three-way tie for second place in the Wesco 3A South, but tie-breaking rules would put the Scots into the Northwest District 3A tournament as the No. 3 Wesco 3A South team, setting Shorecrest up to open tournament play at Northwest 3A/2A/1A champion Ferndale. A loss to Meadowdale would drop the Scots to fourth in the Wesco 3A South and set Shorecrest's first-round tournament game at the home of Wesco 3A North champion Stanwood. In Shorecrest's one-point loss at Mountlake Terrace the Scots led 13-10 after the first quarter and 26-16 at halftime before Terrace swept to a 38-37 lead after three quarters and won 53-52. Onyie Chibuogwu led Shorecrest with 14 points; teammate Bella Kemp scored 10; and Uju Chibuogwu added 9. 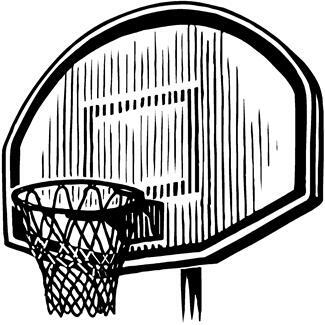 The Shorecrest junior varsity defeated the Hawk JVs 45-28. Shorecrest Scoring -- Lindsey Shattuck 1, Wurrie Njadoe 0, Kathryn Lindsey 1, Annie Schlachter 9, Keegan Monson 8, Onyie Chibuogwu 14, Sophia Vivano 0, Bella Kemp 10, Uju Chibuogwu 9.